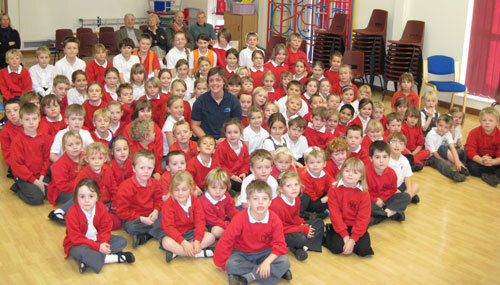 One of the best things about my life is the time I spend in schools. I find it challenging, inspiring, eye-opening, rewarding and very interesting to see the students’ take on the ocean and the world. Soon it will be Prize Giving season; school years will draw to a close with final celebrations of achievement and all the accompanying bells and whistles of a school on show and proud to be so. I love the energy surrounding these events, the bashful smiles of secretly chuffed students and parents bursting with pride, teachers happy that their charges have earned their stripes and made some progress down whatever roads they are travelling. Often my jaw rests open on my lap, amazed at their achievements and efforts. I generally finish up with tingly hands from clapping so much. They are great days, always. Today I firmed up some details for one such event in July, where the headmaster has asked me to talk on their school dictum, ‘Learning adventurously.’ Don’t you think that’s a great motto to live by? For in adventure we learn and in learning we adventure. I love all flavours of adventures, even ones without sea salt. While I have a bit of a soft spot for the ones where you get wet and muddy or cold and hungry, where you travel across maps or through deserts or oceans, I also thrive on the everyday ones, too. I especially love the vicarious ones, where the adventures are in my head, inspired by someone else’s. For any adventure at all involves excitement, the unknown, effort, energy, hardship, exertion, learning and growth, discovery and novelty and at times monotony. I remember my schooling being just like that too, and am grateful for it. I think that every sort of education should be an adventure and that every sort of adventure offers us an education of sorts – both in ourselves, the planet, and in others. That way we learn as we grow and grow as we learn; always, even when we finish the journey. In fact, perhaps it is afterwards with some reflective hindsight and the passage of time that we learn the most. Books are full of adventures, even ones that you find outside of the ‘Adventure’ shelf at the book shop. At the moment I am travelling across 1940’s America with the Joad family in Steinbeck’s The Grapes of Wrath. I read it at night, warm and dry in my bed; but I am still learning and questioning and finding out about the world. Therefore I adventure. At the weekend I was lucky enough to be the keynote speaker the RSPB Member’s Weekend and had the privilege of hearing some of their leading conservationists talk about their work and the challenges facing the charity and the wider world. It was both an intellectual adventure and an eye-opener. 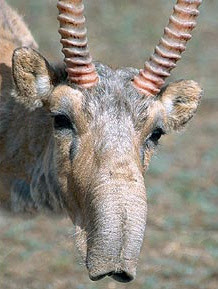 For example, I don’t think I even knew what a saiga antelope looked like and no idea that they live in Kazakhstan. I came away with a stack of new contacts and ideas to follow up – I had just expanded my horizons and widened my world. And once the world is wider, there is no going back – only thirst for more knowledge, more experience, more adventure and more journeys into the unknown. So here’s to learning adventurously, and always being adventurous in our learning (with or without a dash of sea salt). Wanted: Suitably nutty folk to join fantabulous Olympian Denise Lewis and a group of nutty others on bike ride to the end of the world! (Or to Lands End). 29th-31st June. See here for info. Always good to read a positive blog, thanks! True breed ,Go Gettem !!!! Take Care Always TERRY B!!!!!!! I read your blogs when you send them to Mark and would love to have them sent to me directly. I am interested in the bike challenge and may well have a friend who will do it with me. I look forward to reading about your next challenge and it is inspiring me to do something myself………even if on a smaller scale. Not too sure if Mark will join me. We may argue too much!!!! !